Eric Goulden (AKA Wreckless Eric) has been part of the underground music scene since 1977 when he was barely out of his teens. His new album, Construction Time and Demolition, is the culmination of over forty years of touring and recording, documenting his life of hardship, creativity, and getting away with it all. The eleven tracks, a mixture of songs and instrumentals, sometimes gently melodic, sometimes experimental, sometimes crazed take you on Eric's unique musical journey. Clocking in at only 36 minutes, most of the songs are in three minute range, which is just right for Eric to fully develop his ideas. There is something that I cannot quite identify about Eric’s music that makes me think of both Bill Nelson and David Bowie. It may have something to do with his British accent, the subject matter of his songs, his compositional skills, or a combination of all of them. Some of his songs are stripped down garage rock that take a few seconds to get into, but then you are rewarded by catchy tunes and crystal clear vocals. And the two instrumentals, “Mexican Fenders #1” and “Mexican Fenders #2,” bear some resemblance to the Beach Boys’ Pet Sounds. I was particularly impressed by the serene, trippy “Forget Who You Are” that slowly builds into a no holds barred raga rock song. Then there is “The Two of Us,” that begins with an eerie ambiance that gains momentum and revs up to a tumultuous climax, only to swirl away into silence, and the catchy ballad “Unnatural Act” that has one helluva climax. 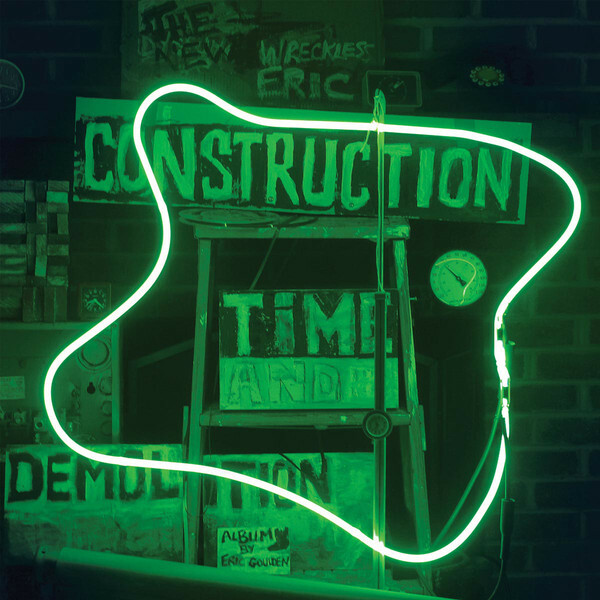 So if you are looking for some interesting pop-psych indie rock, check out Construction Time and Demolition.